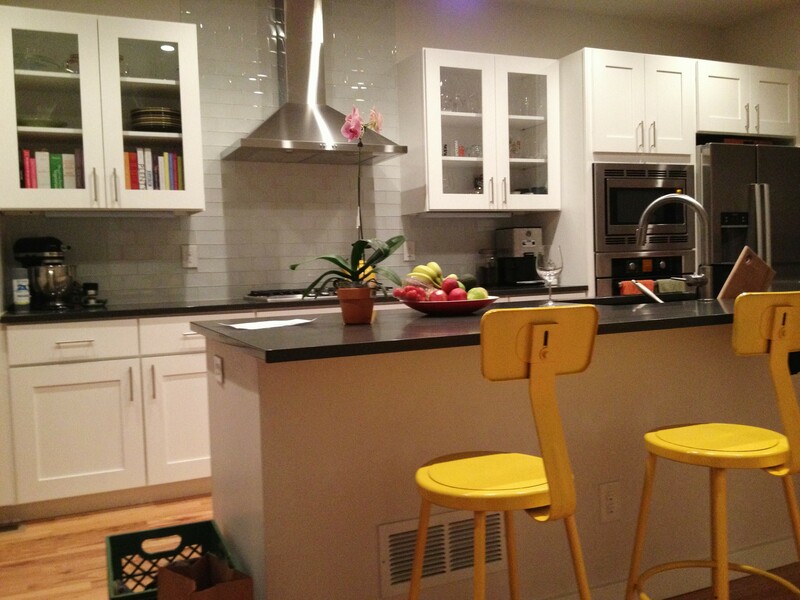 Several months ago, Dan suggested we add a pop of yellow to our future kitchen. We knew we’d need some color, since we’d picked white cabinets and “raven” caesarstone counters set against light grey walls. Yellow stools for the counter seemed like a good way to go. 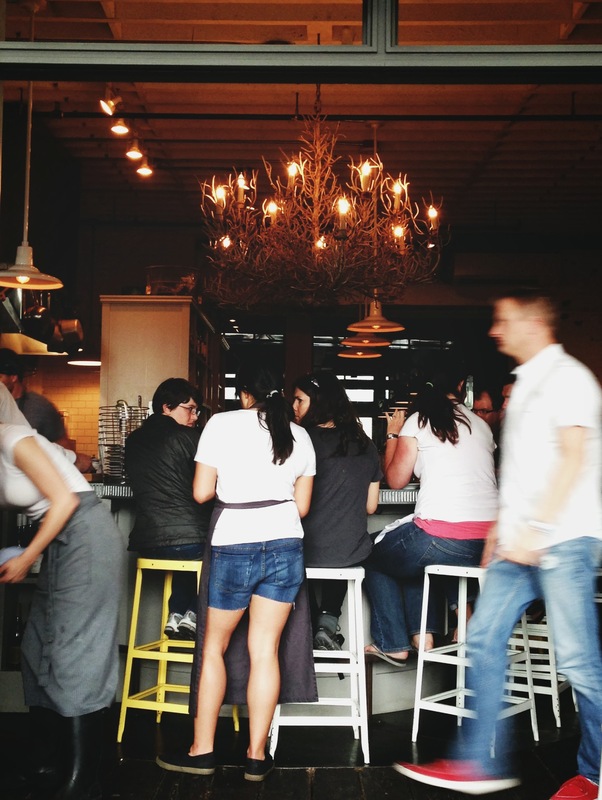 We were also inspired by our favorite restaurant in Seattle, the Walrus and the Carpenter, which sports pretty much the best interior decor ever, as far as we–and many critics–are concerned. Throughout the restaurant, they have yellow and white stools pulled up to marble hightops. Add a little oyster bar flair to our Denver kitchen? One could try at least, right? 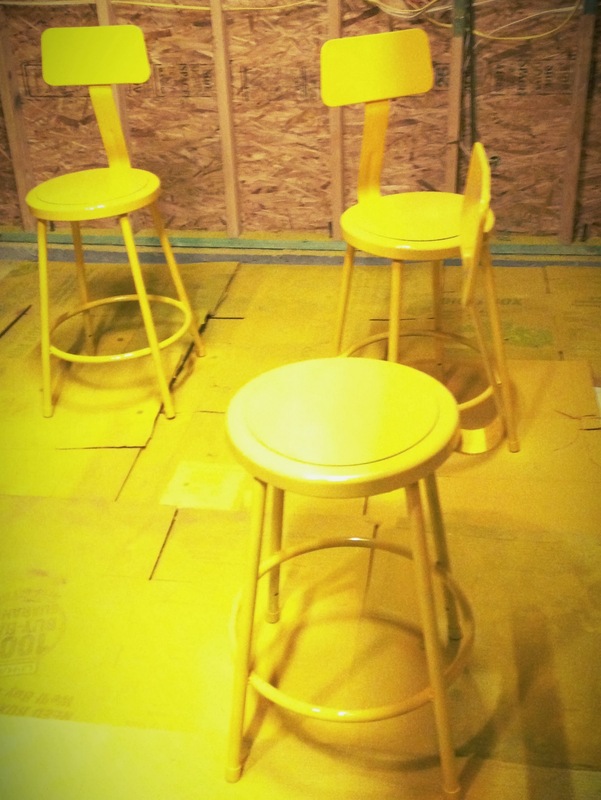 Once somewhat settled into our new house, we began the hunt for the yellow bar stools pictured in our heads. But, sadly, we couldn’t really find what we were looking for. All the new stools we found were either too expensive or backless. (Have you sat for long periods of time in a backless stool? For two years we had dinners at a high black table with saddle stools and my back still hasn’t forgiven me.) And the cool vintage ones were being sold as only a single stool or a pair, which wouldn’t do since we needed at least four. Finally, more searching and pondering led me to this post, from one of my favorite home design blogs, Young House Love. 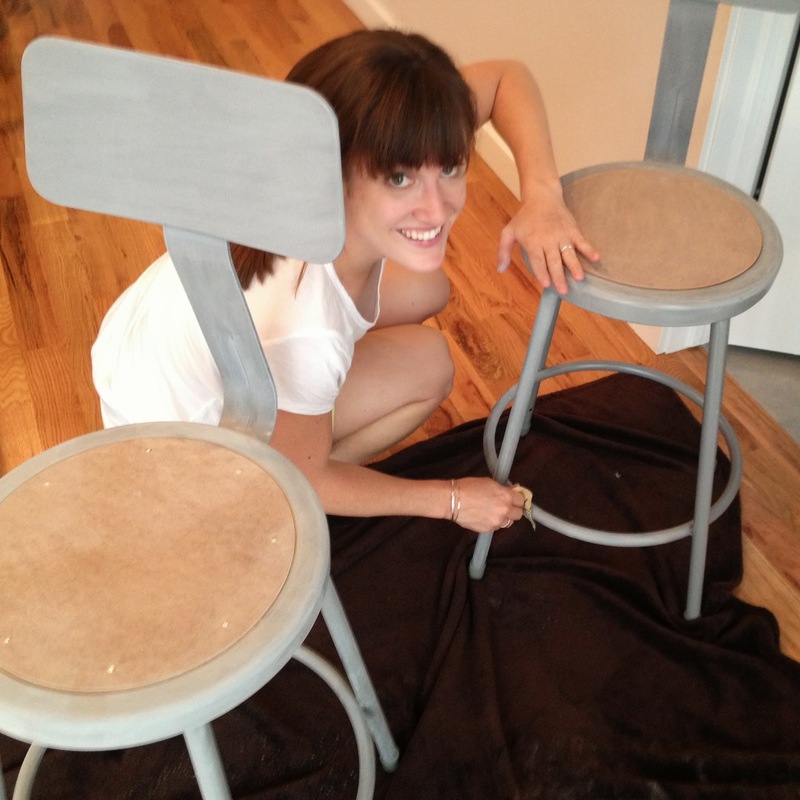 The ultimate DIY-ers, they’d found cheap stools with just the industrial vibe were were wanting. They painted theirs teal, but they’d considered yellow, so it seemed like a reasonable endeavor. We could follow their instructions and have just yellow stools we wanted. Hurray! Fourteen cans of spray paint and who knows how many trips to Lowe’s later, we did. Yep. That’s right. Fourteen cans. It was “supposed” to take three. I will forever be indebted to my husband for his commitment to late-night spray painting. Here’s the main thing we learned: don’t be a copycat. It’s not cool, and it doesn’t work. Use your own brain. More specifically: to spray paint something yellow, you need to use white primer. Grey might work fine if you’re going for teal, but it’s quite hard to cover up when you’re using yellow. Therein lies the “use your brain” lesson. Whoops. I love the color! Yellow was a great choice.